Walter B. Levis, a former crime reporter, now teaches and works freelance. His nonfiction has appeared in newspapers and magazines including The National Law Journal, The Chicago Reporter, The Chicago Lawyer, The New Republic, Show Business Magazine, and The New Yorker. He is author of the novel MOMENTS OF DOUBT (2003). 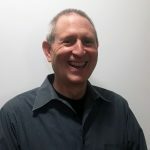 His short fiction, which includes a 1991 Henfield Prize and a 2006 Pushcart nomination, has appeared in a variety of publications, including North Dakota Quarterly, The Amherst Review, The Cimarron Review, and The Connecticut Review, among many others. Mr. Levis earned a Master’s Degree in Journalism from Northwestern University and an MFA from Columbia University. About the novel: Eli Shaffner had it all—an attractive, intelligent girlfriend, a wealthy family, the perks of privilege. It was the opportunity to build the kind of life most people can only dream about. But a few obstacles got in his way—lust, pride, and a high-minded sense of professional purpose. 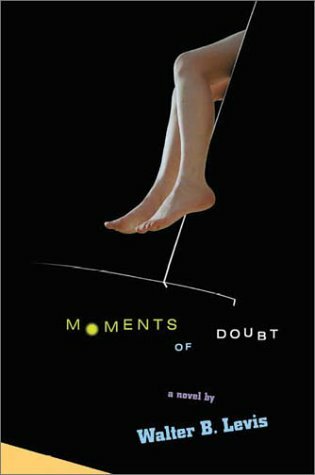 In the darkly comic tradition of Saul Bellow and Philip Roth, Moments of Doubt is the emotionally charged account of how a man makes his way through passion, pain, and paradox toward the cathartic realization that sometimes, in the end, the very things you thought were destroying your life prove to be the only things that can make you happy.